I wrote on Twitter yesterday about how much both T & I feel we have reconnected with Sqk during this week and a bit away. Sqk and I travelled to train station at Escape in Castleford on Maundy Thursday to meet T after work. Having eaten we then drov north to a caravan site north of Richmond where our caravan is pitched on a seasonal pitch. 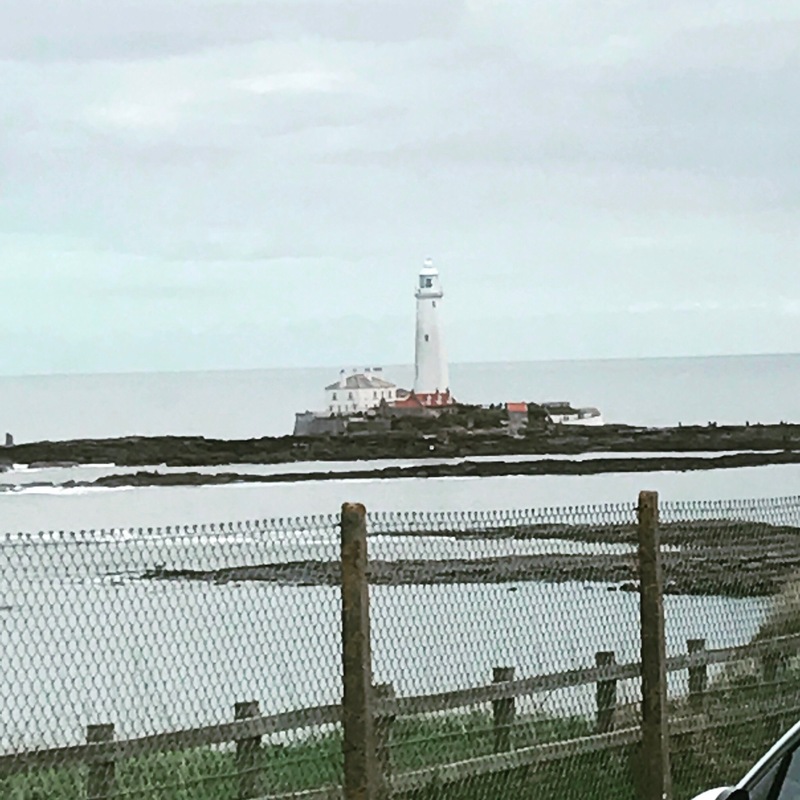 We stayed here till Easter Monday and then went a bit further north to a site on the cliff to close to St Mary’s Lighthouse in North Tyneside. We have been lucky in getting a PASW who gets things moving relatively speaking. From first meeting Sqk in January she got us places for sensory assessment and applied to ASF for funding – and this was all within a couple of months or so 🙂 We attended a training with Sarah Lloyd (local specialist occupational therapist & play therapist) a week and a half ago for a full day on Wednesday. Was us, our PASW and Sqk’s afternoon TA – usually it is SENCO from school but she had been to the training in January due to us going to the same person as @TwoBoysandUs has with her Boyo and the boys being in the same school. So we took TA instead who found it really rewarding – her comment was she wishes she had known a lot of this stuff 3 years ago when Boyo started (she has worked with him as well as Sqk).